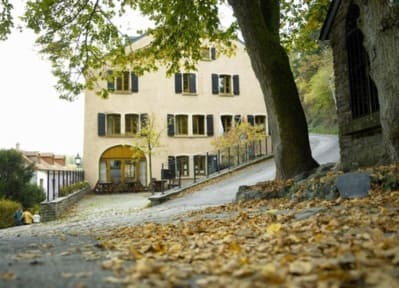 The youth hostel, an old traditional house in the upper part of the town is only a few minutes walk away from the castle. 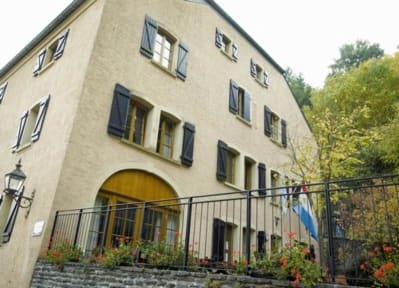 The hostel was completely renovated in 2004 and is suitable for individuals, families and groups. The rooms are situated on two floors with sanitary facilities on each floor. In addition, the hostel has a small common room and a cellar lounge. Bikes can be rented in the village. Opening hours: 08.00 - 10.00 a.m. and 05.00 - 10.00 p.m. Check in: 17.00hrs - 22.00hrs / check out before 10.00 a.m.